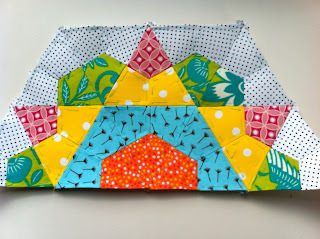 Patchwork n Play: Retail Therapy! I'm thinking I might join in the fun of the Sew Along over here! 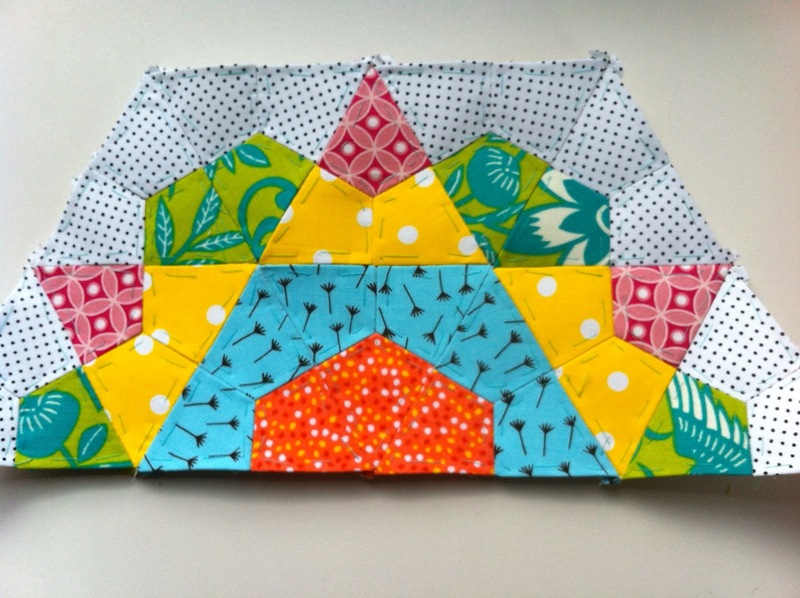 another of my "Jazz Hands" EPP blocks is coming together! I have that book, maybe there will a project or to I also join in on. I hope the work is done quickly. 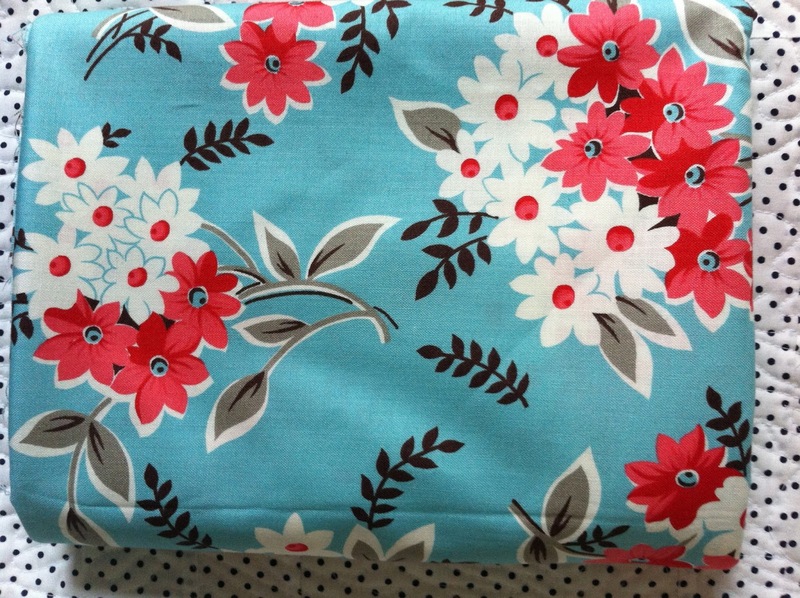 The bouquet fabric is such pretty colours. Only four days to go and there will be a big smile on your face! Loving it all - especially the prospect of holidays!!! The book and fabric look great!! ... Have a great week ... try not to stress out too much!!! Hugs! Yay for the Easter break! I've been thinking of purchasing that book, what do you think? That's my favourite from FMF, I bought 4 yds! It looks great with the black and white spot. oooh lots of nice things to admire! I love that fabric!!! The book looks great....I am sure there will be lots of fun projects. And of course your Jazz Hands is superb!!!! Hard to believe your first term is over. But wonderful to have a bit of a break to look forward to. Well, we know what you are doing over the school holidays then. 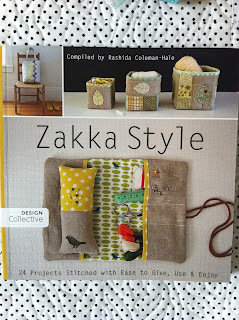 Happy Zakka sewing! That zakka book looks like fun. I might have to pick that up! I haven't bought that book but I am looking forward to see what everyone makes. Roll on the hols! Love your jazz hands blocks gorgeous! Run, Rabbit, Run, Run, Run! There will be a Happy Ending!